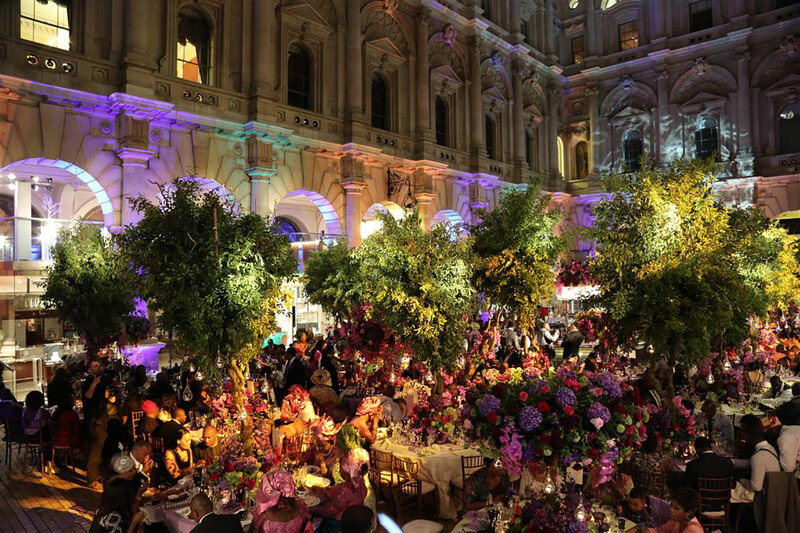 Tony and Francisca’s wedding was one that had to be seen to be believed! 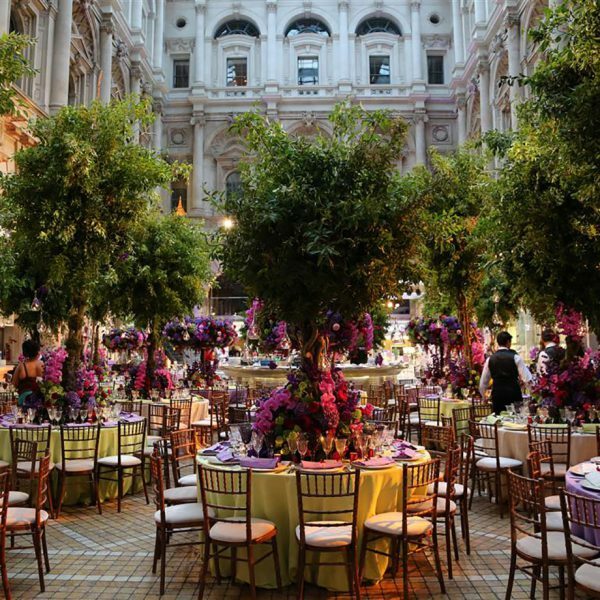 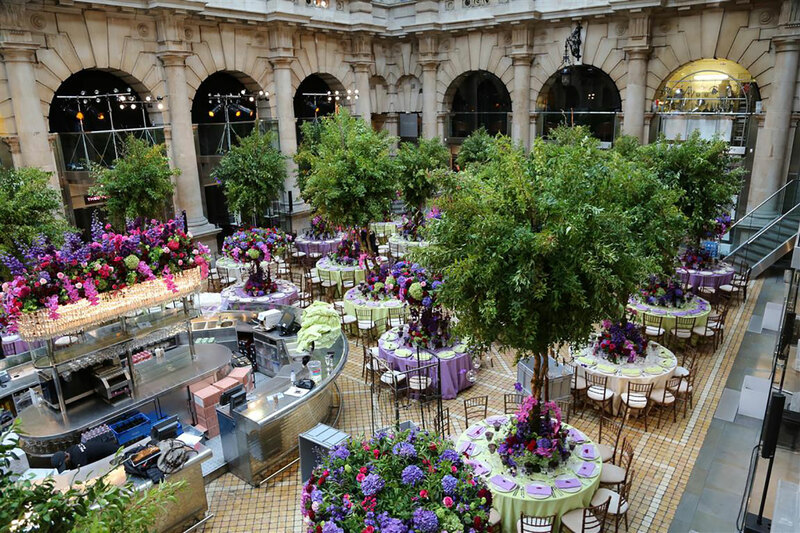 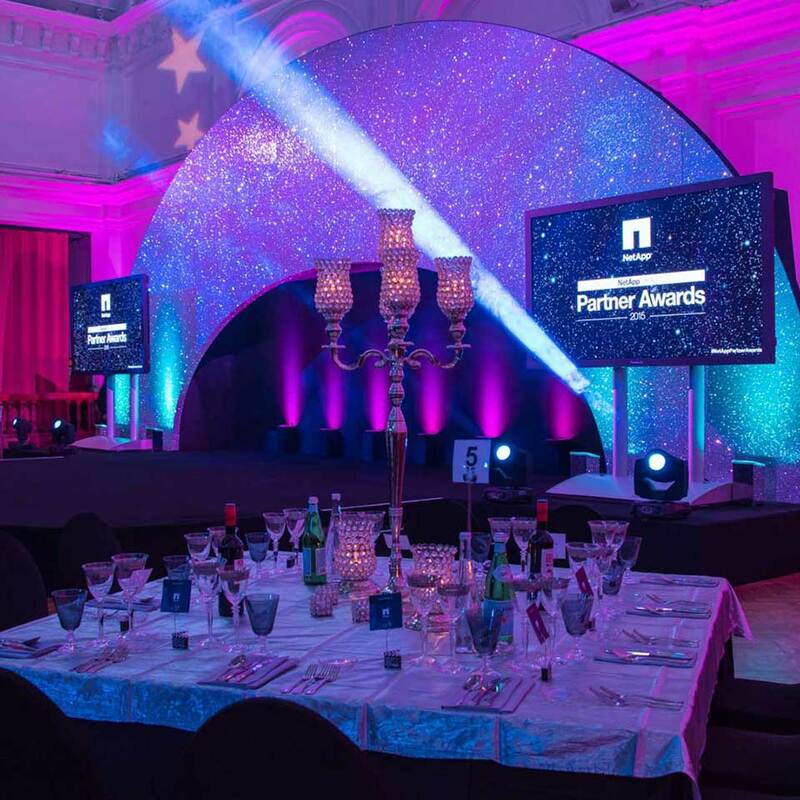 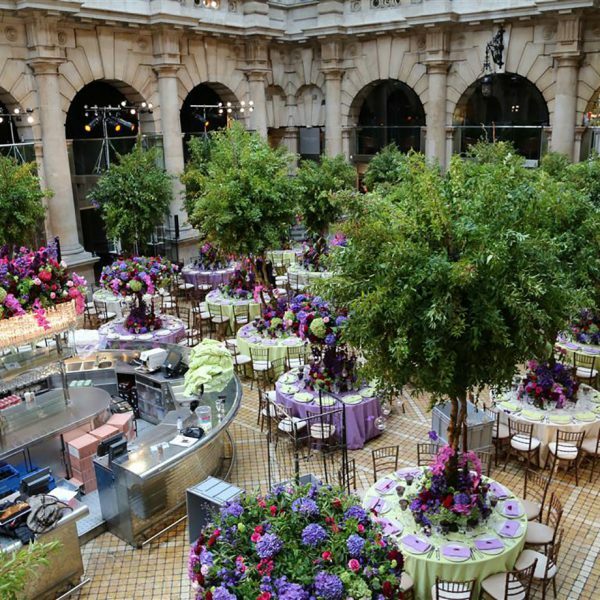 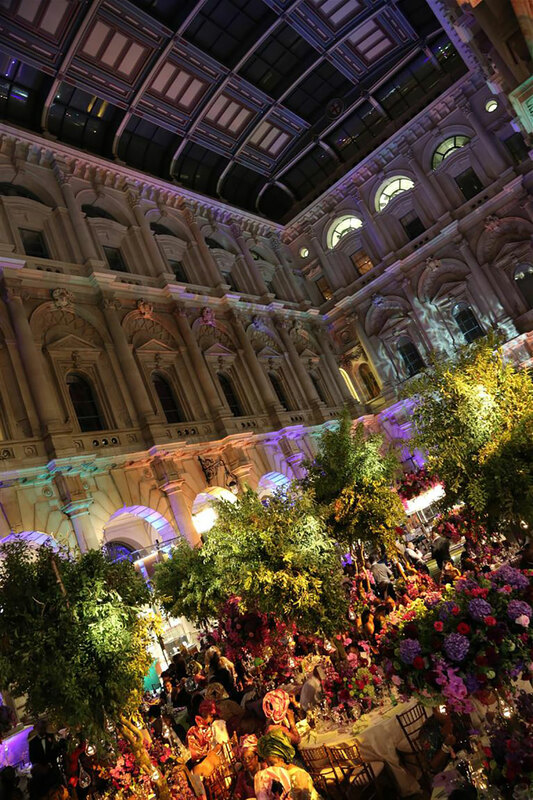 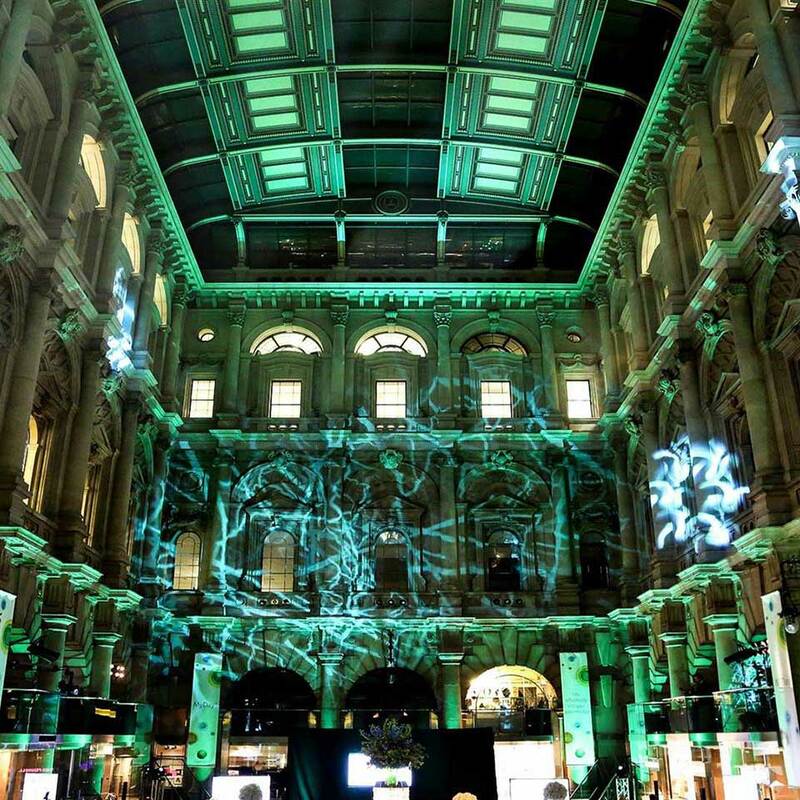 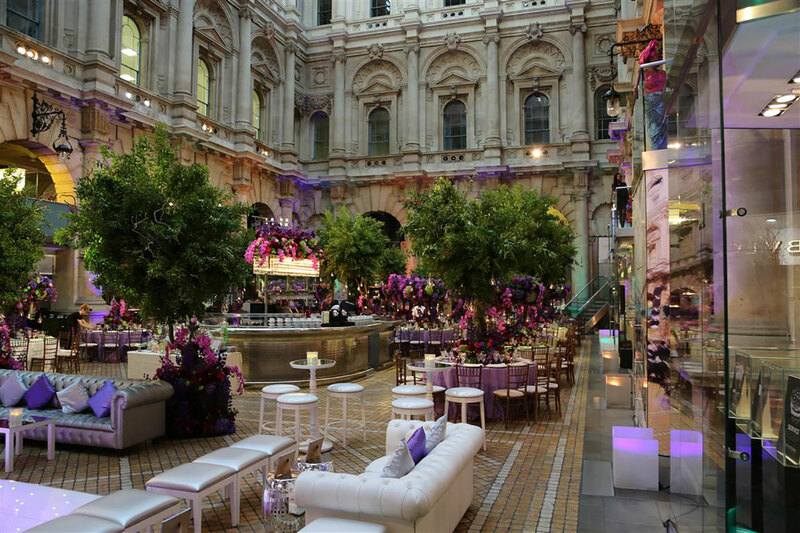 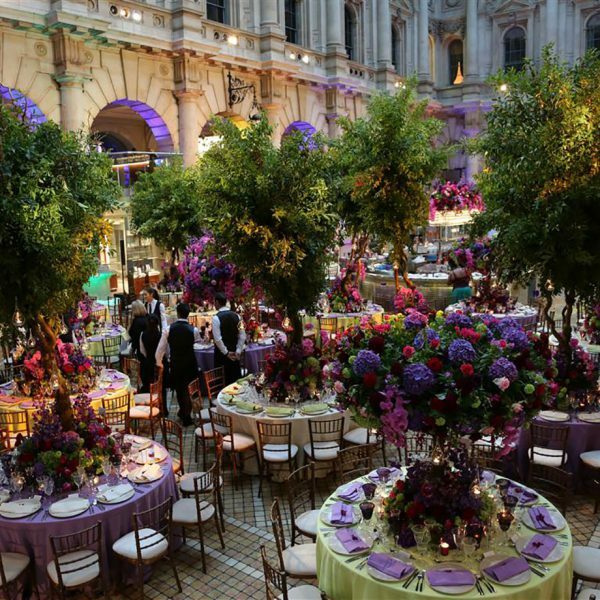 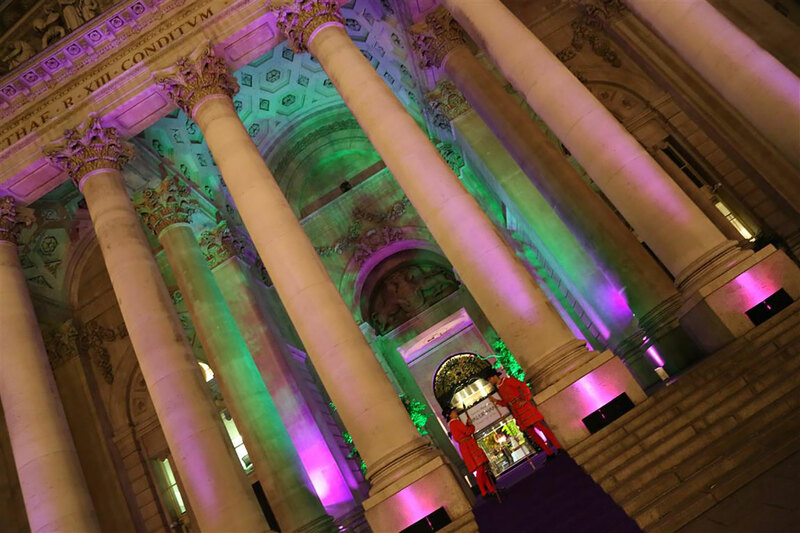 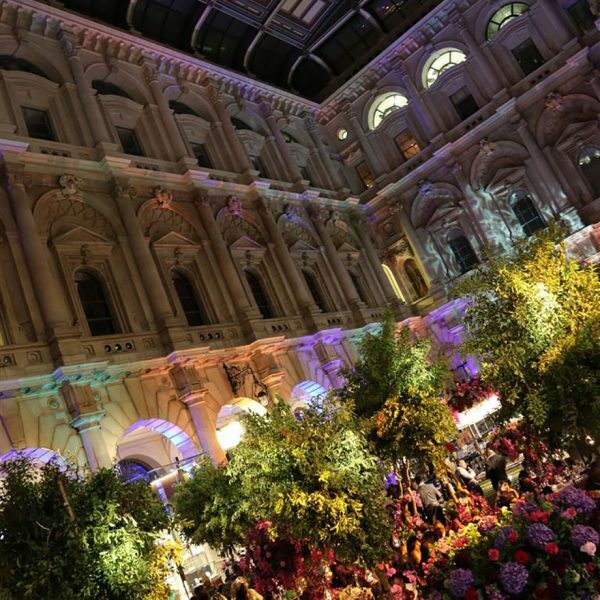 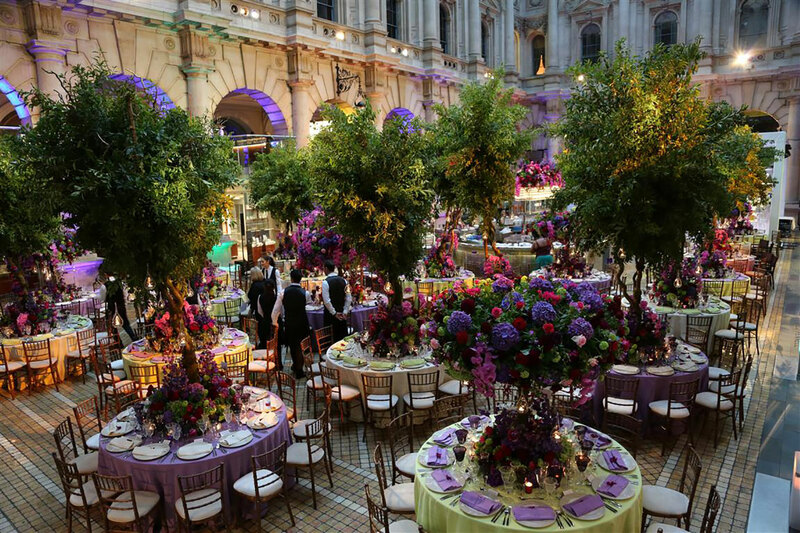 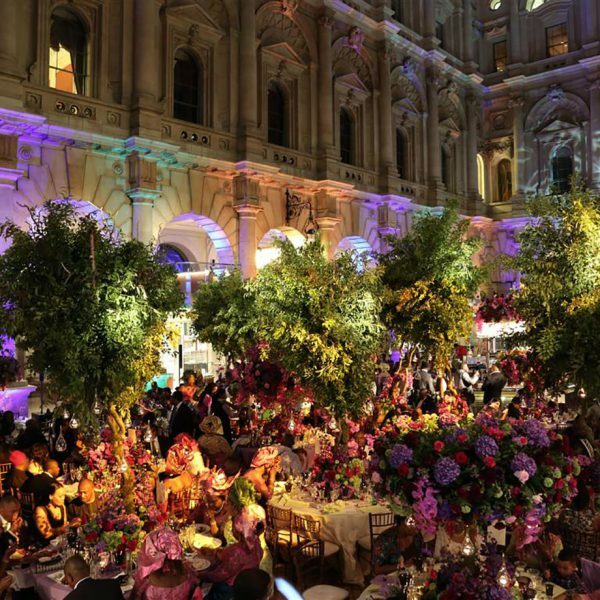 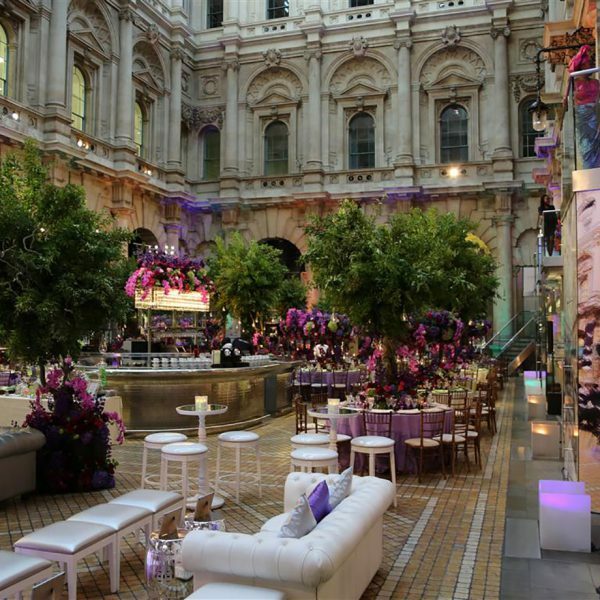 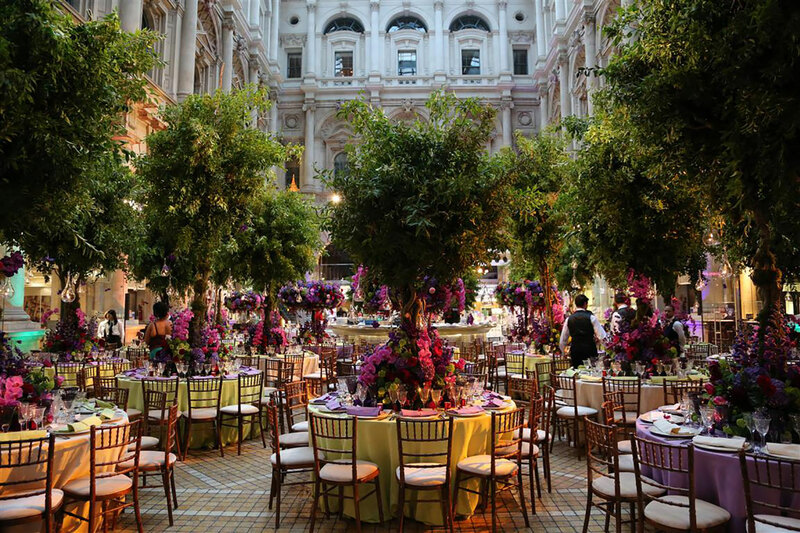 Using the stunning Grade One listed Royal Exchange as the backdrop, the space was transformed into a woodland forest with full size trees on tables and extravagant table displays. 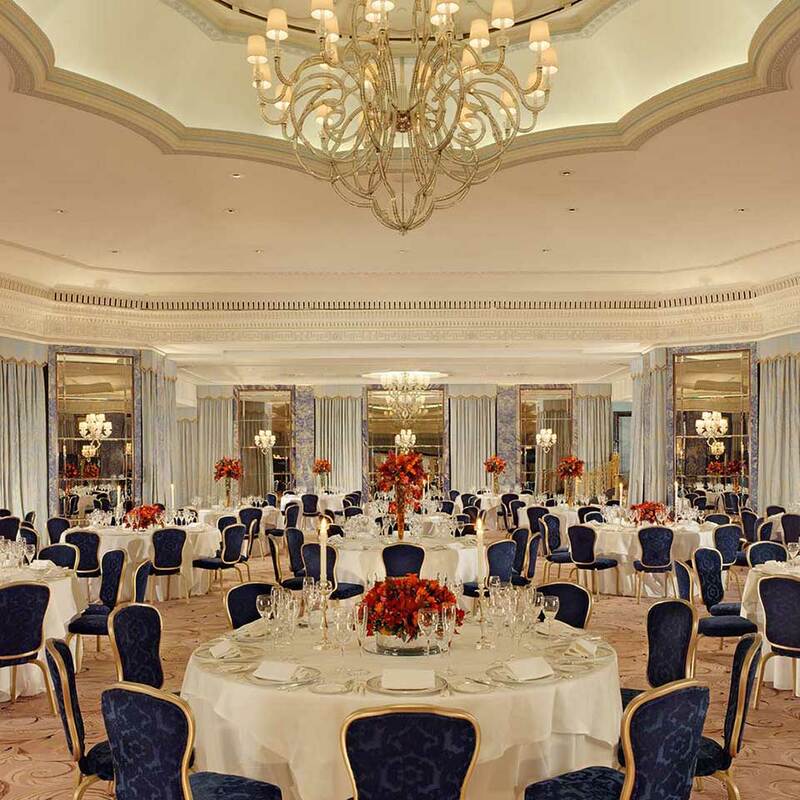 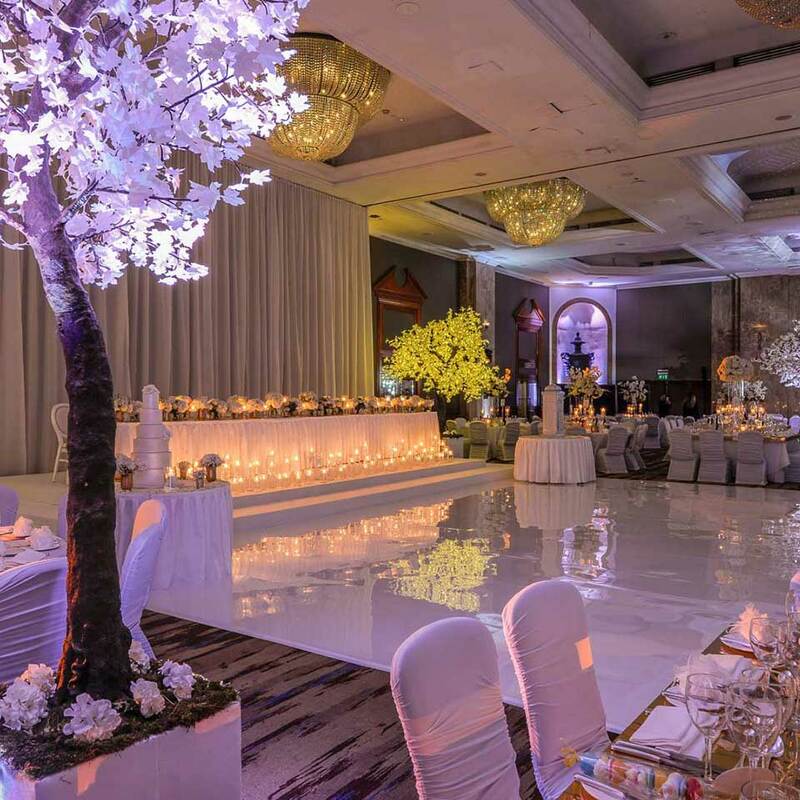 Beyond Certainty managed the production including lighting, elaborate staging, sound including that for a 35 piece orchestra and management of professional ballroom waltz dancers. 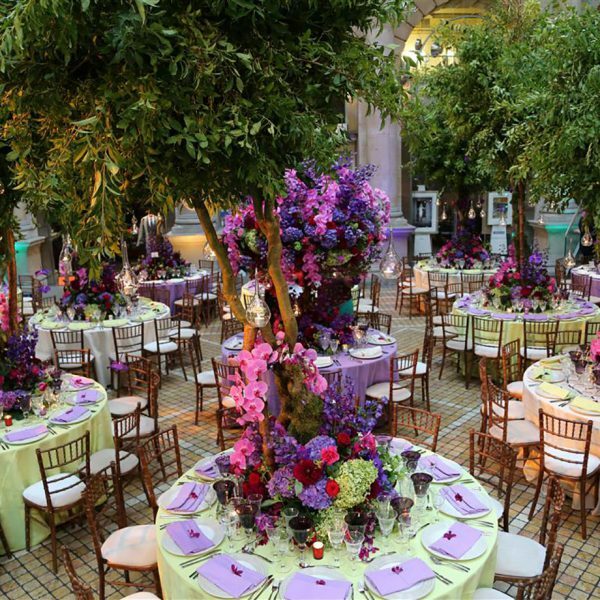 The lighting was designed to be in keeping with the Enchanted Forest theme and the colour scheme of green and purple. 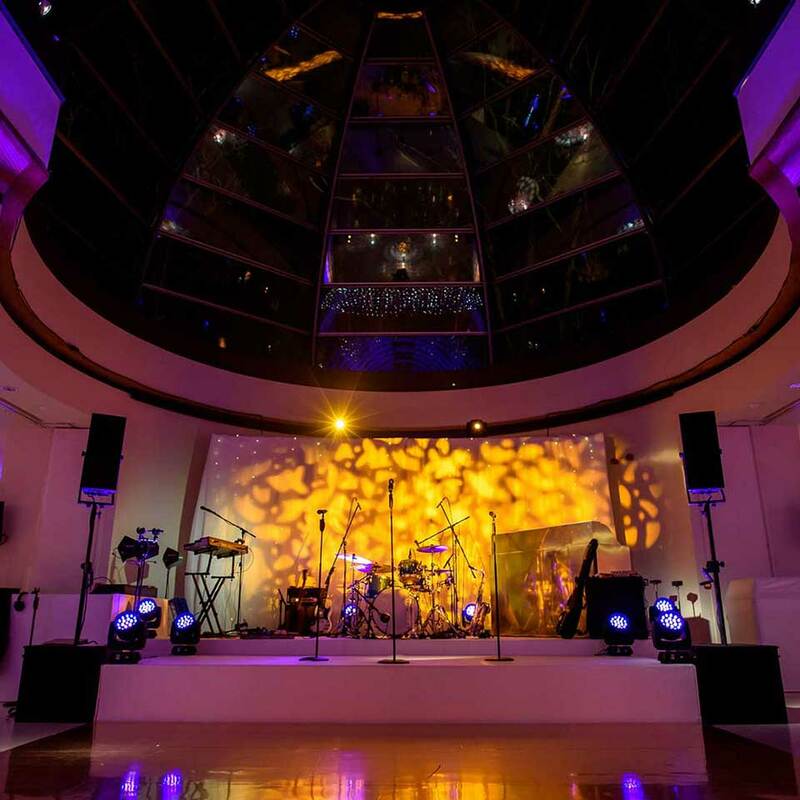 This was applied to the walls using wireless uplighters to highlight the building’s columns and create ambiance throughout the wedding. 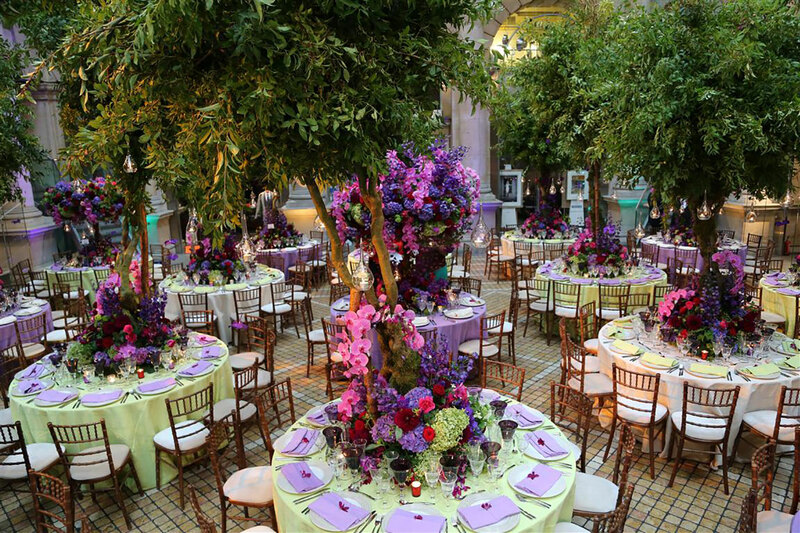 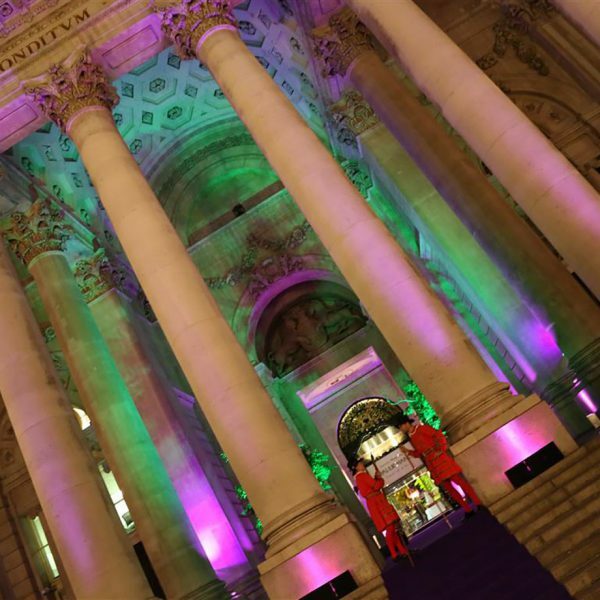 They wanted to highlight the stunning floral tree displays and the exterior of the building was up lit with a purple carpet to add to the overall effect. 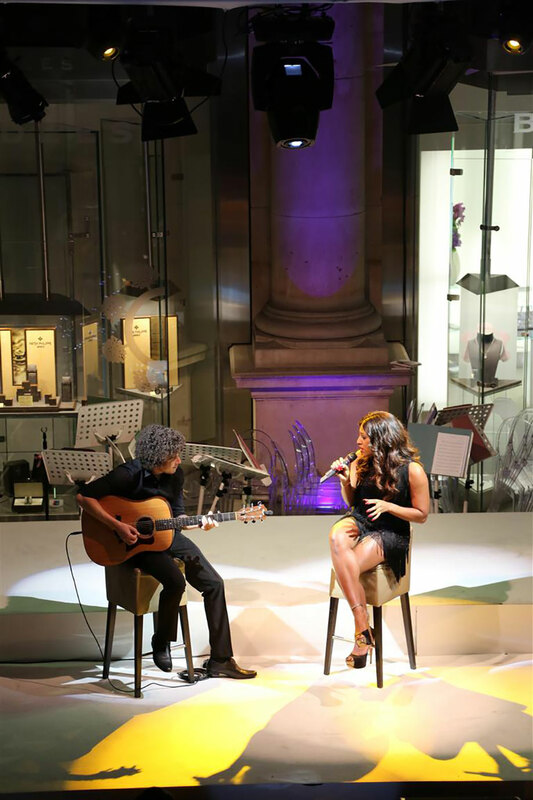 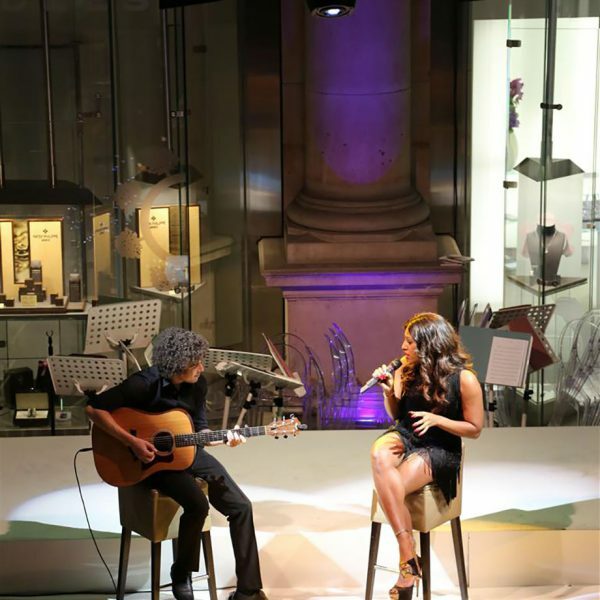 One of the truly magical moments of the night was a performance by X Factor winner Alexandra Burke along with some top acclaimed Nigerian acts. 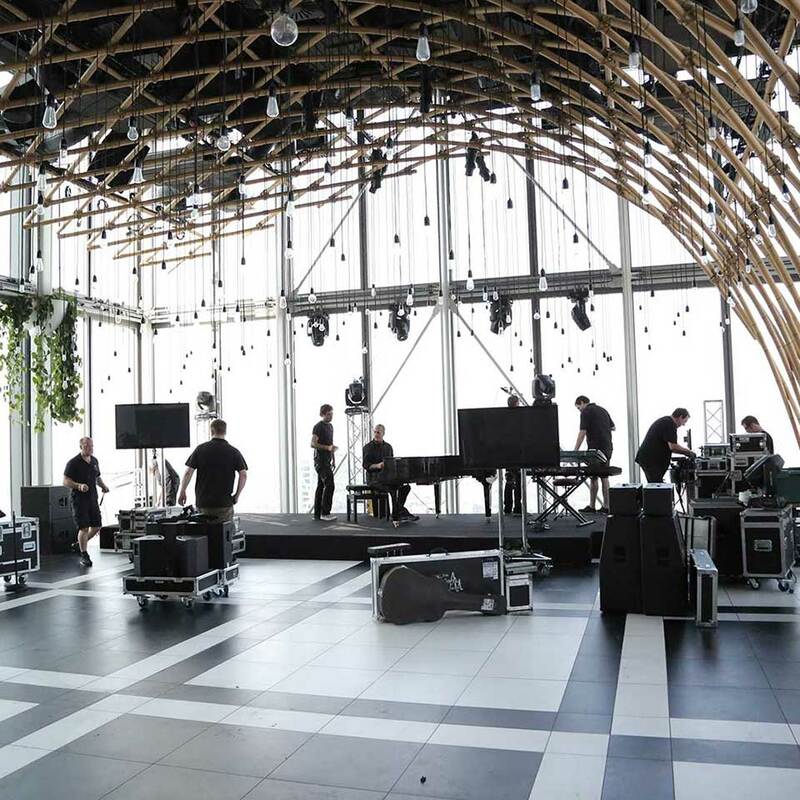 Beyond Certainty managed all elements of the sound and lighting for this performance.